Axle Configuration Key To Fuel Efficiency? 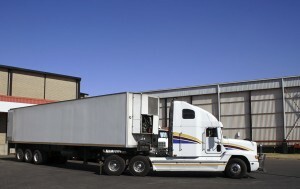 The classic axle configuration for semi trucks is a 6×4 setup. New tests, however, suggest that the less common 6×2 setup may help improve fuel efficiency and save drivers money. According to overdriveonline.com, the Carbon War room initiative and the North American Council for Freight Efficiency have worked together to produce new information comparing the fuel efficiency of 6×2 and 6×4 tractor axle setups. The two organizations reviewed existing literature and also performed their own tests to compare the fuel efficiency of the two axle set-ups. The tests showed better efficiency with the 6×2 setup, which varied from an increase of 1.6 percent to an increase of 4.6 percent. Therefore, “NACFE concluded an average 2.5 percent could be expected for many fleets with a conversion to a 6×2 configuration.” In addition, the average fleet could expect a payback on its investment in 20 months, a little less than 2 years. You can find the summary of the report, which also reports on the effects of speed limiting technologies and wide-single tires on fuel efficiency, here on Overdrive Online’s website. According to the report, wide-single tires resulted in a gain of between 3-6 percent fuel efficiency. This entry was posted on Wednesday, January 22nd, 2014 at 8:42 pm	and is filed under Semi Trucks. You can follow any responses to this entry through the RSS 2.0 feed. Both comments and pings are currently closed.